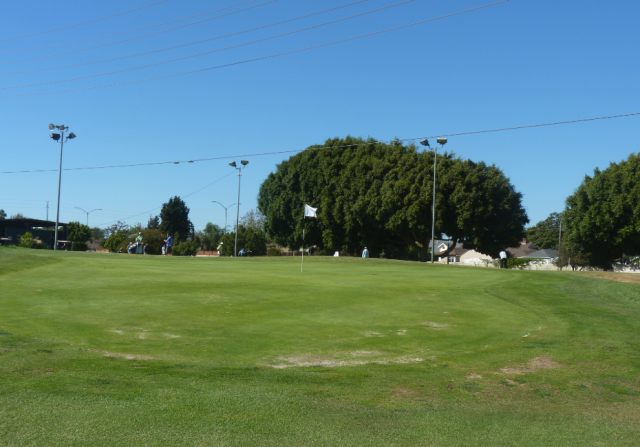 Crazy Mini Golf Hole – Lilliputt, CO. 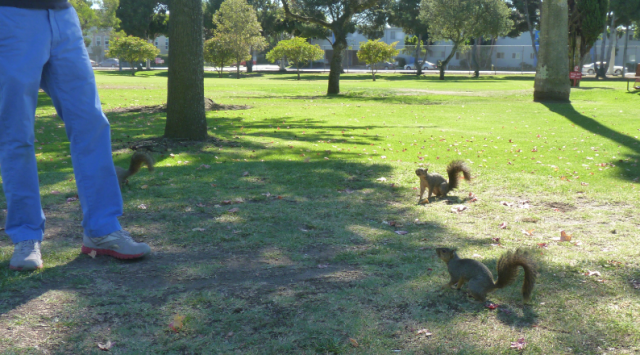 While surfing the net I randomly came across this video. 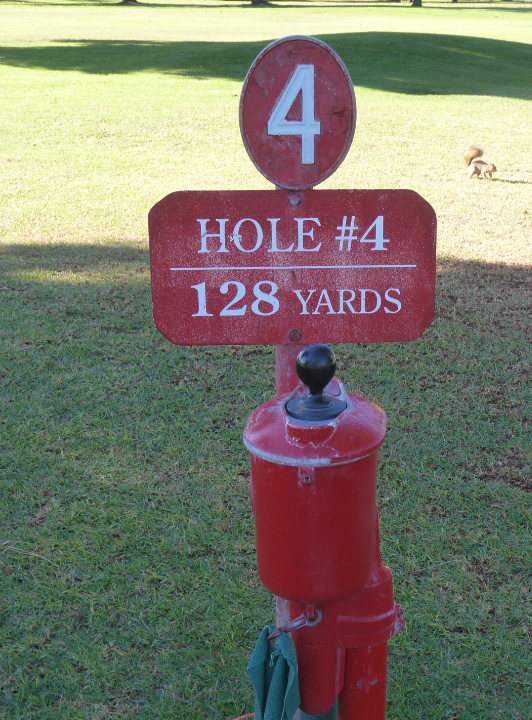 This mini golf hole is located at Lilliputt Mini Golf Course in Grand Lake, CO. 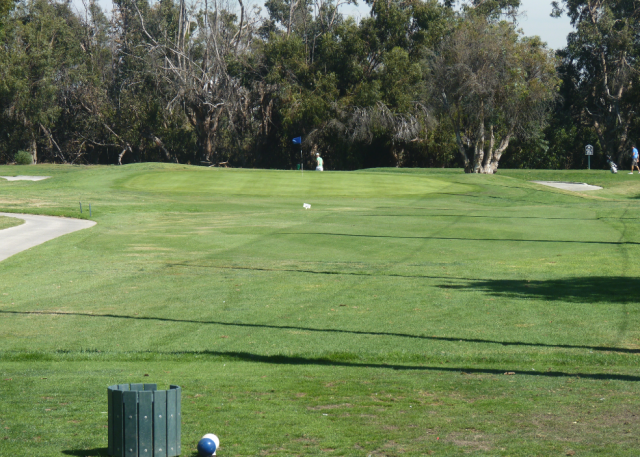 If you look at the time on the video, the ball travels for almost 60 seconds before reaching the green. 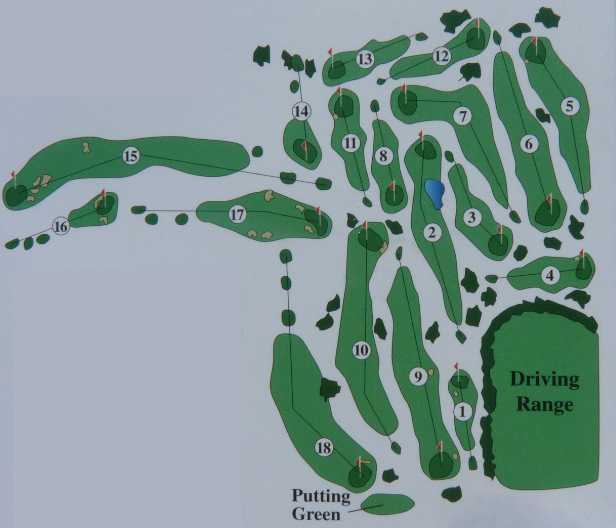 Northern Ireland European Tour golfer Gareth Maybin attempts an ambitious golf trick shot – from a floating pontoon off the coast of Dunluce Castle, County Antrim, Northern Ireland. There are two golf courses here. Aptly named Destroyer and Cruiser. 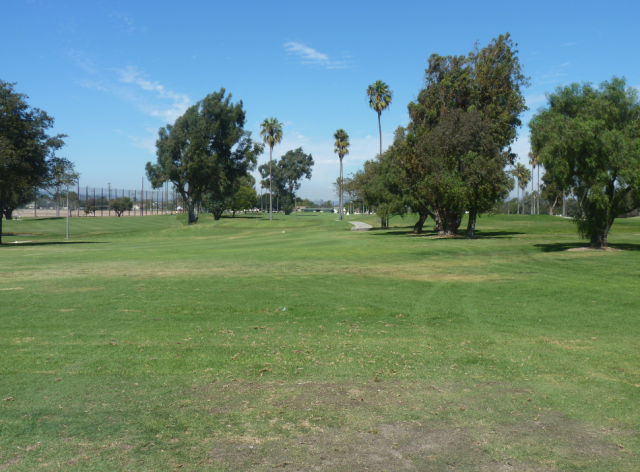 The destroyer is a regulation 18 hole (par 72) golf course. The cruiser is a shorter 9 hole executive course. 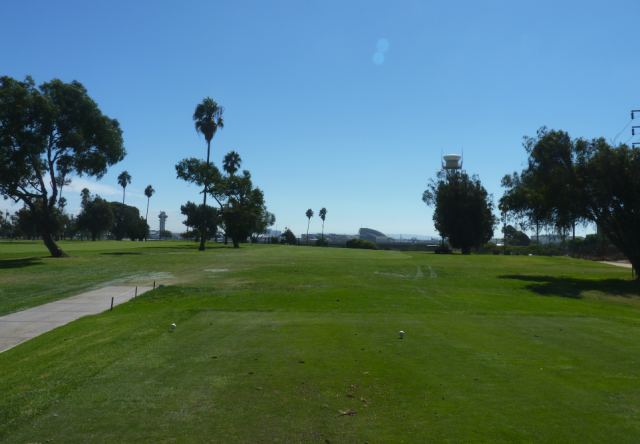 This review is on the “cruiser” course. 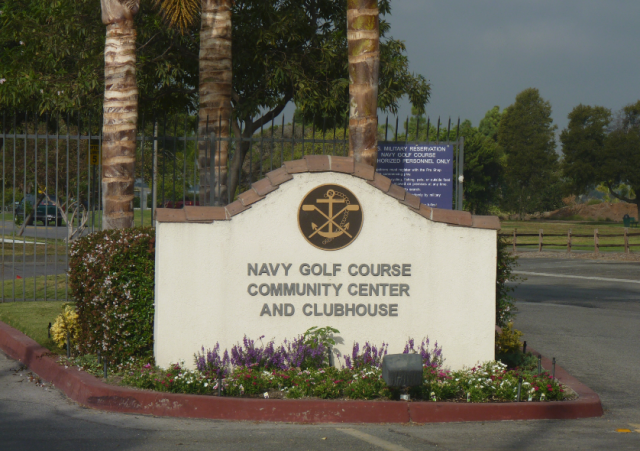 Although these courses are at the Navy base, public can play. Military personnel get heavily discounted rates. 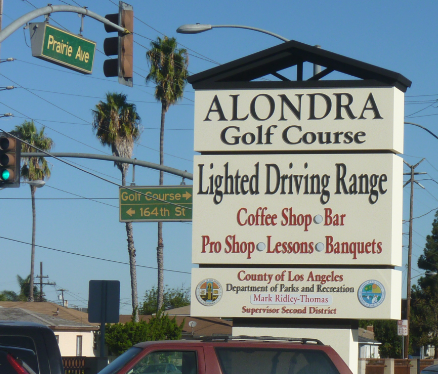 The rates above are for the general public. 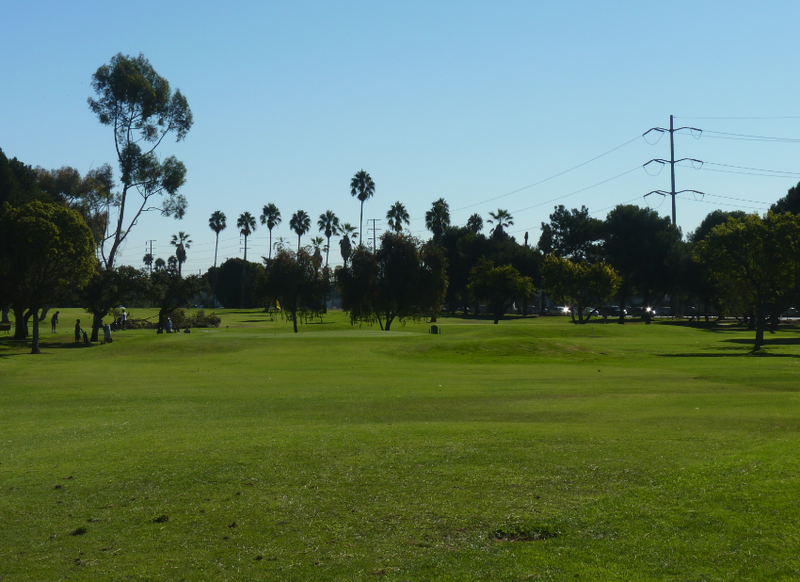 It is my understanding that the rate is for 18 holes (playing the 9 holes twice) and includes an electric cart. 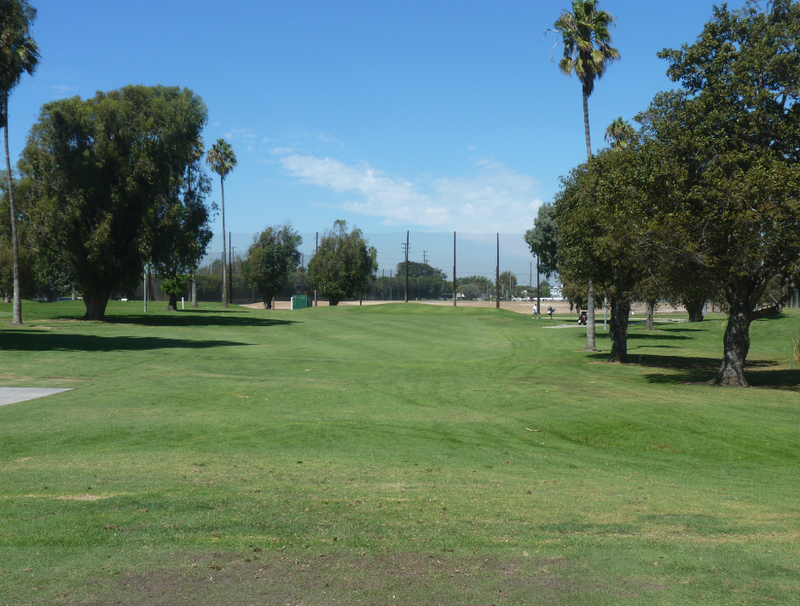 If you walk or just play 9, it is the same rate. But you may want to verify. They have a very nice clubhouse here and the staff were friendly and helpful. Tiger Woods became the first golfer to hit a ball from east to west on the iconic bridge that separates the European and Asian continents. Tiger Woods took part in a spectacular Bosporus Bridge photo shoot as part of the opening of the Turkish Airlines Open 2013 golf tournament. 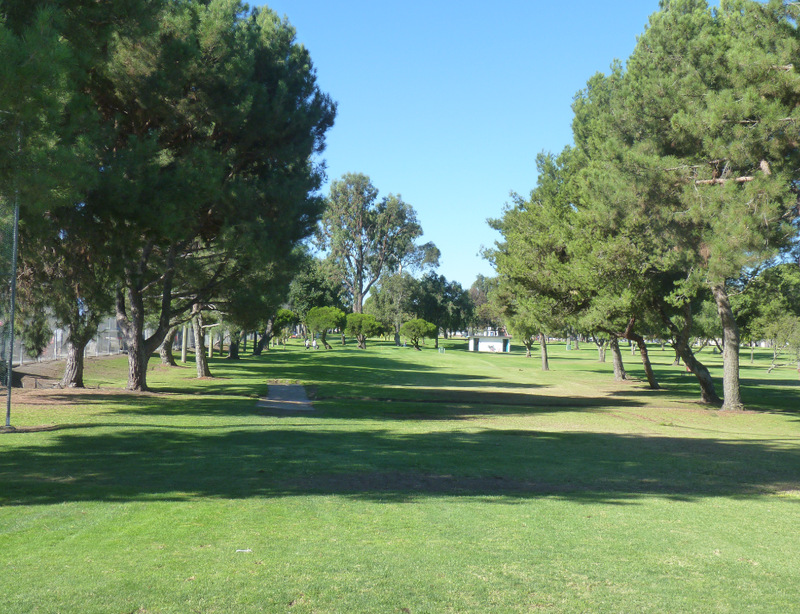 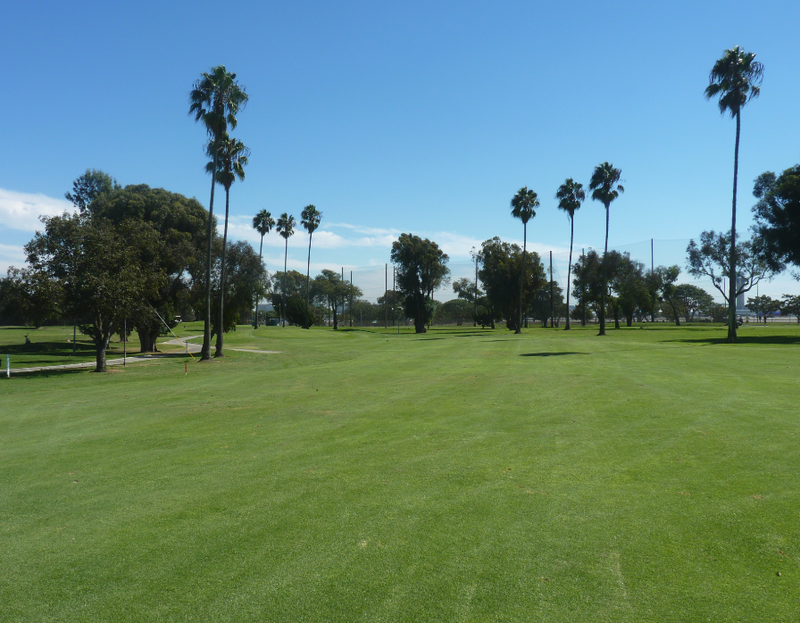 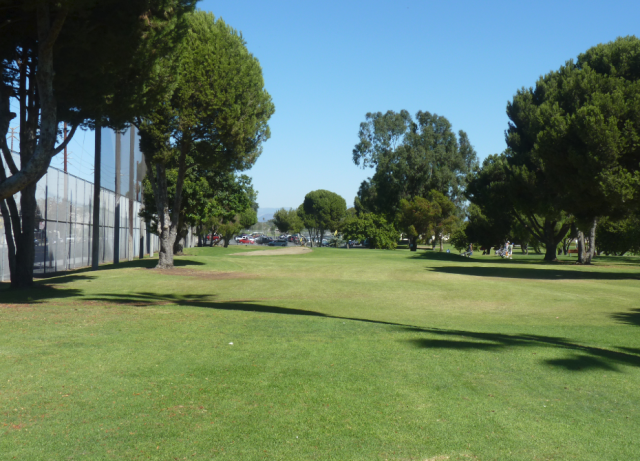 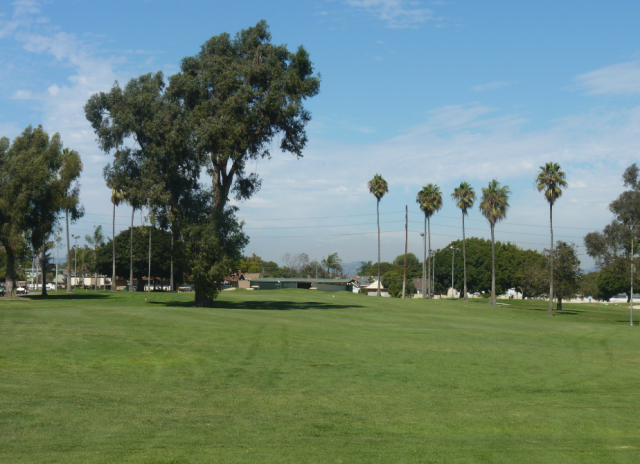 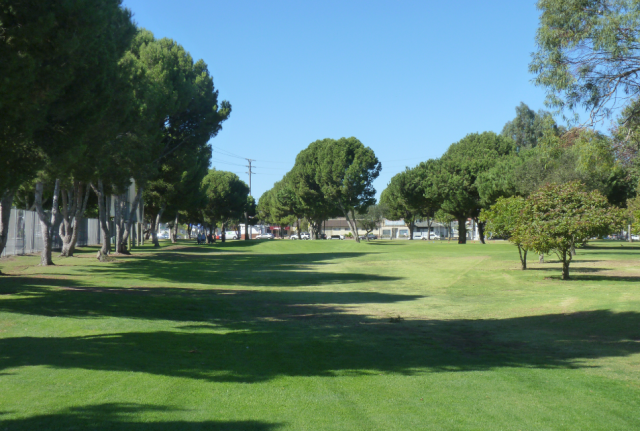 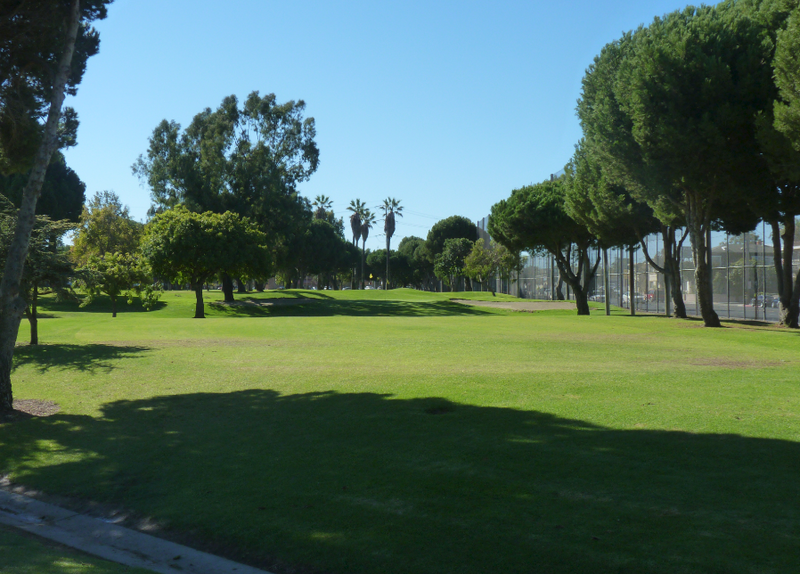 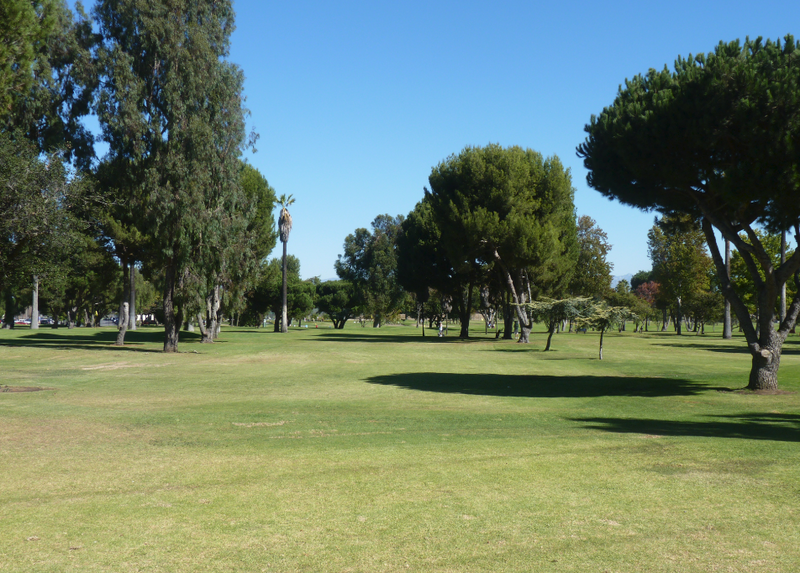 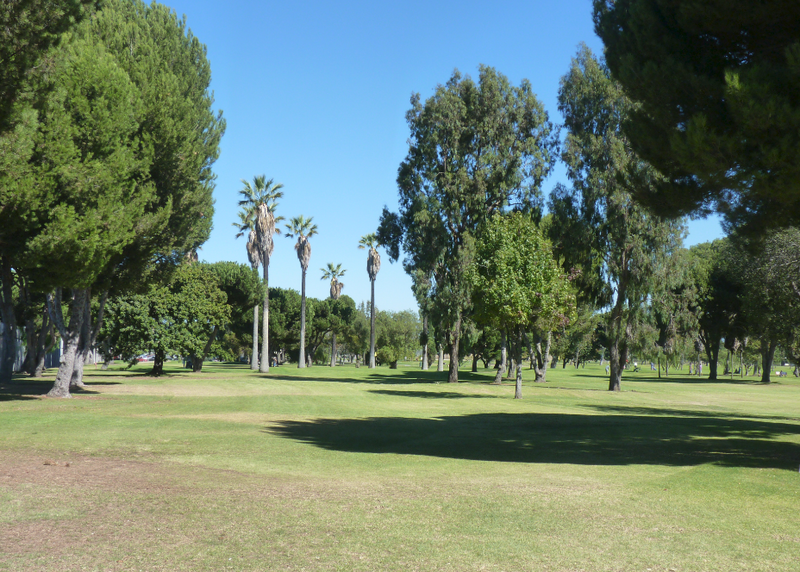 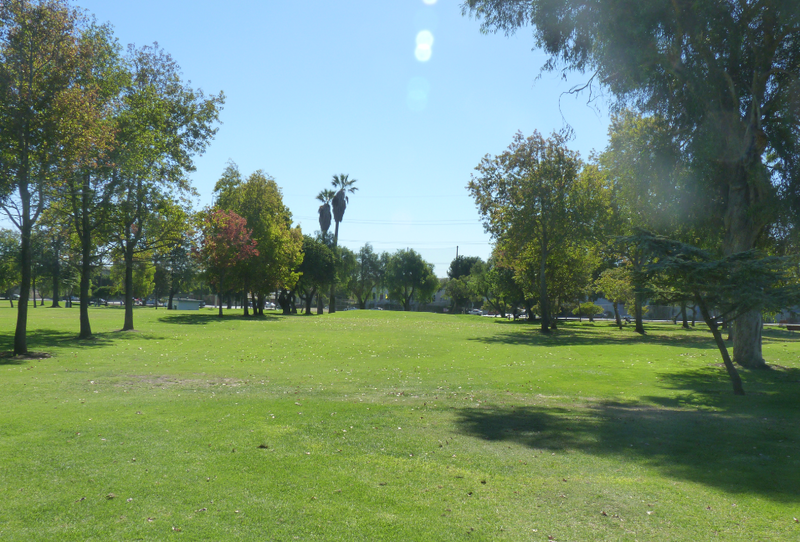 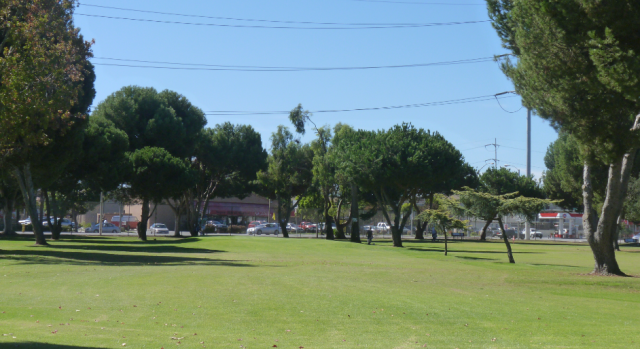 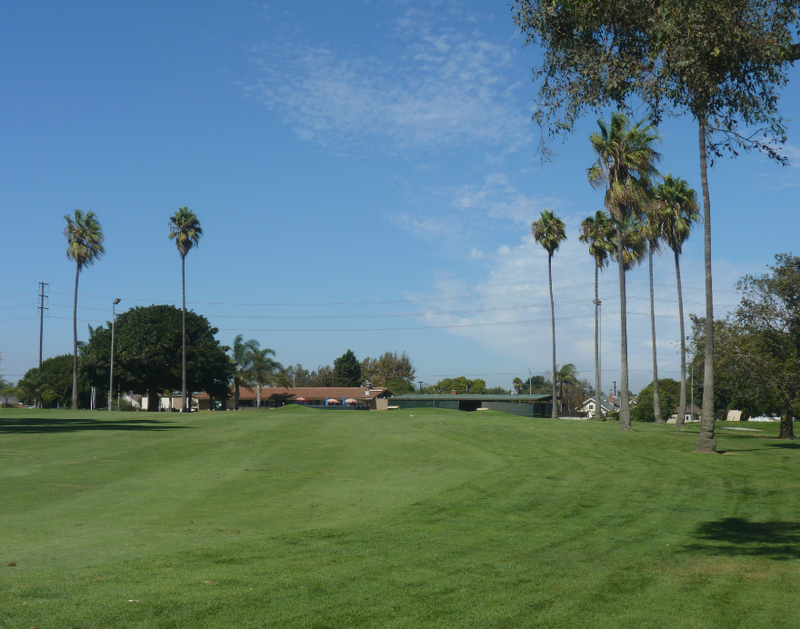 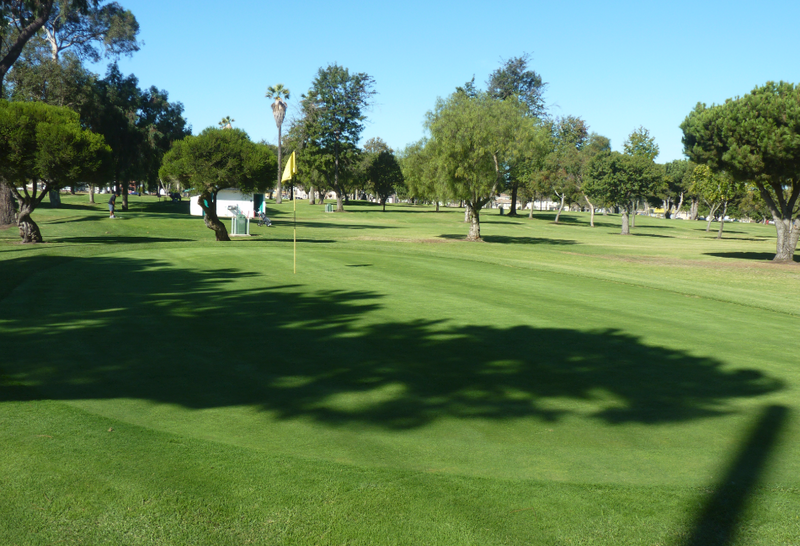 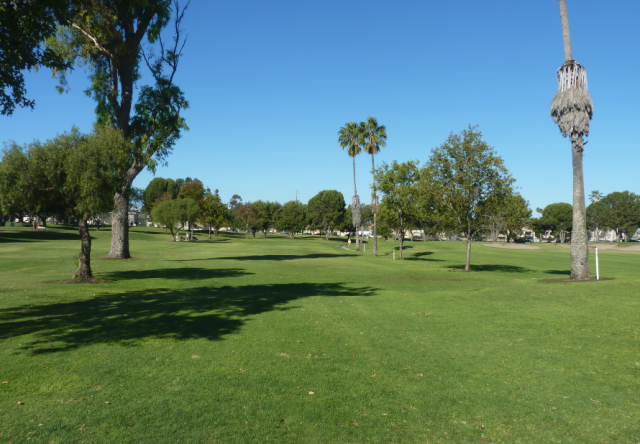 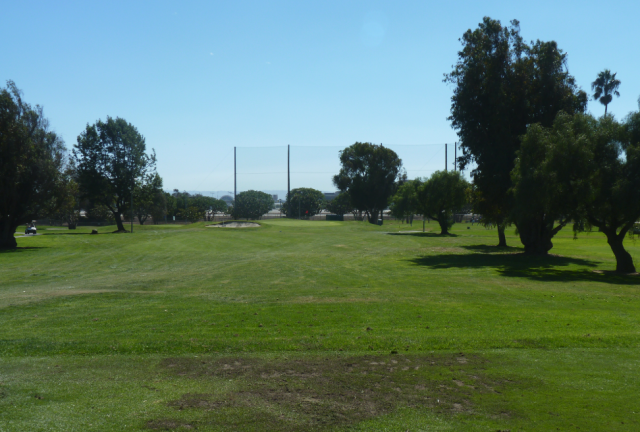 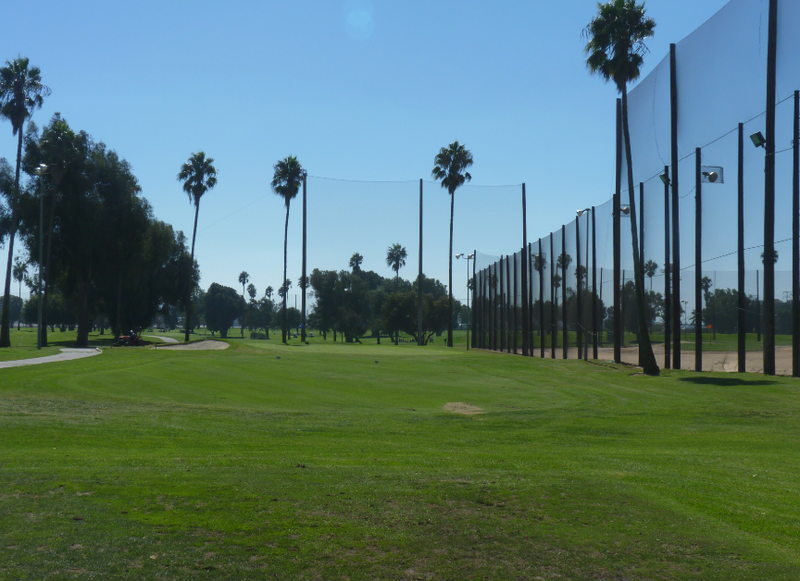 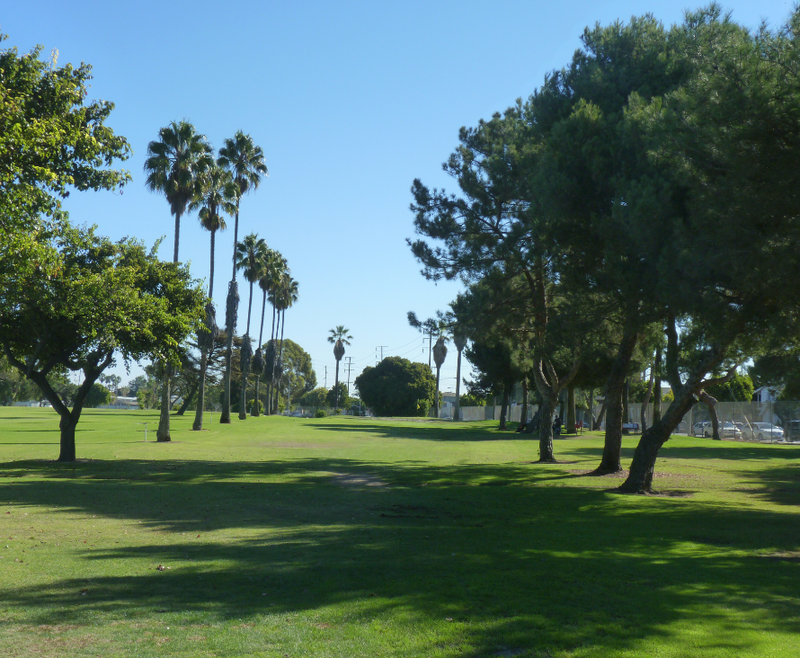 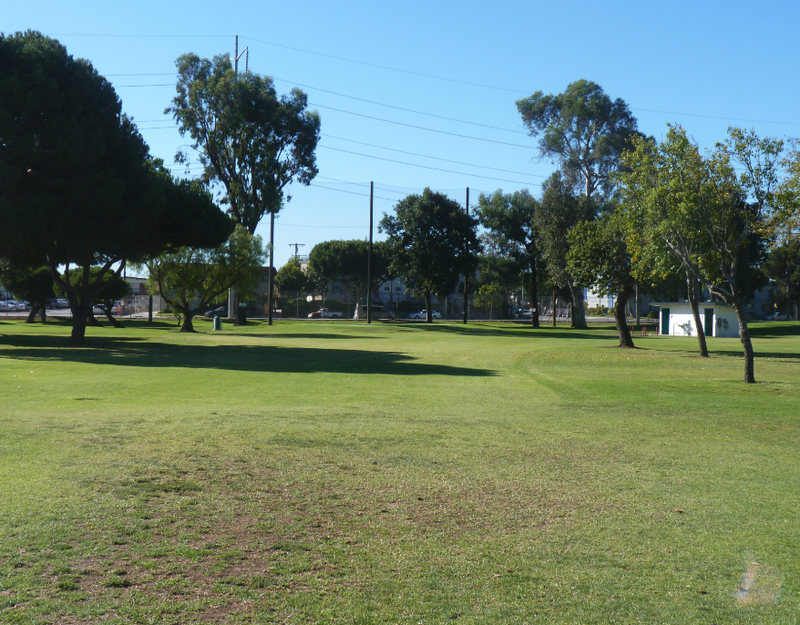 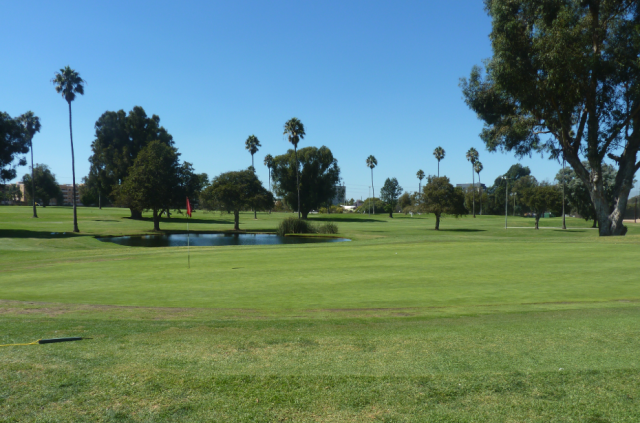 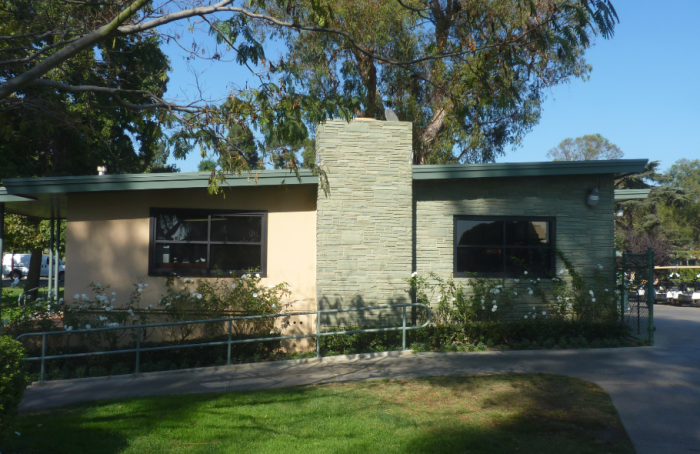 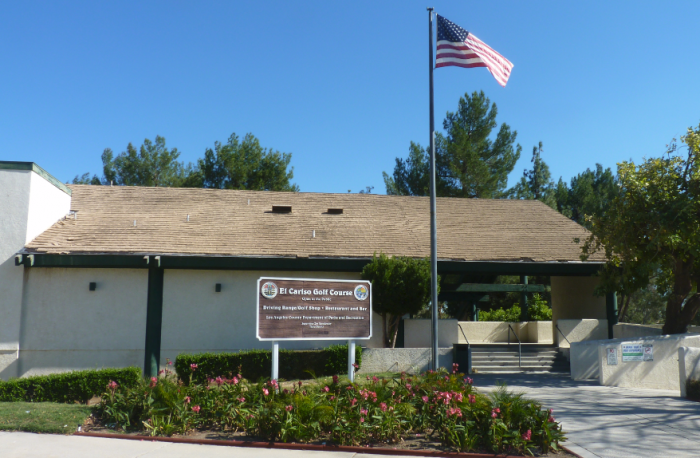 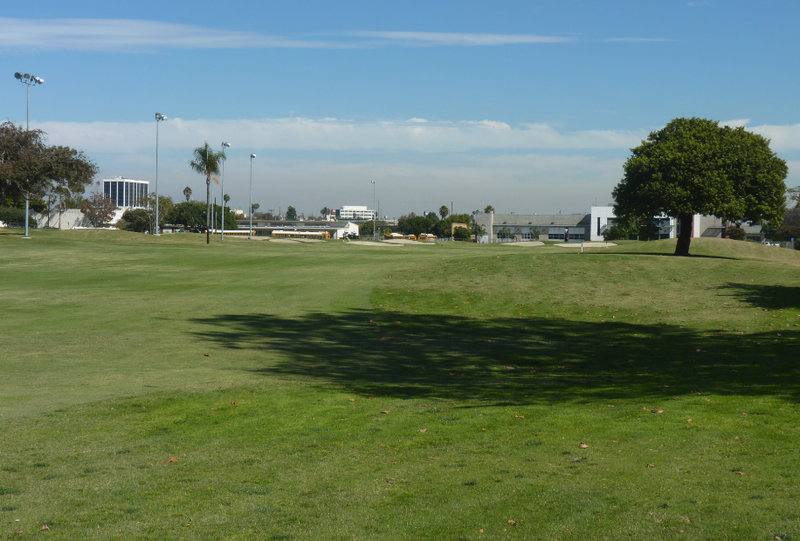 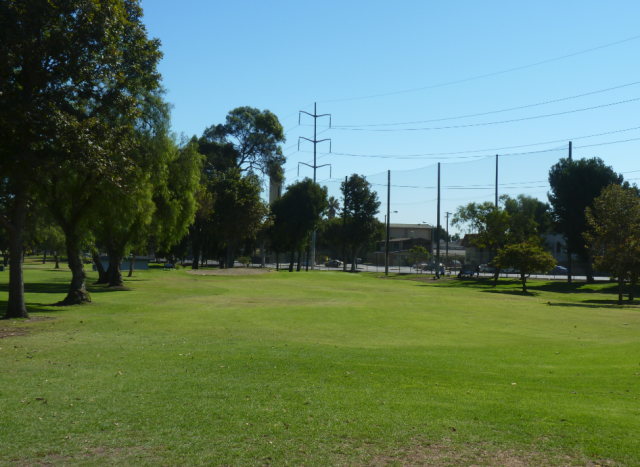 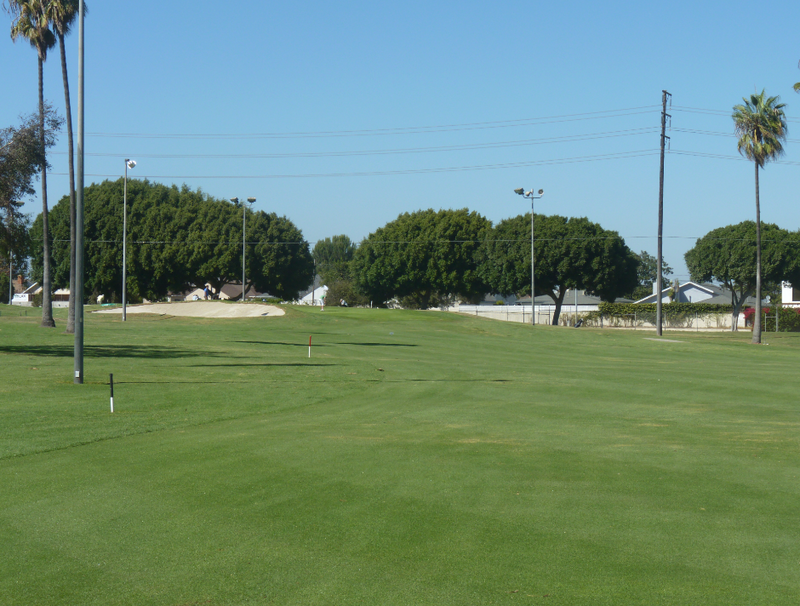 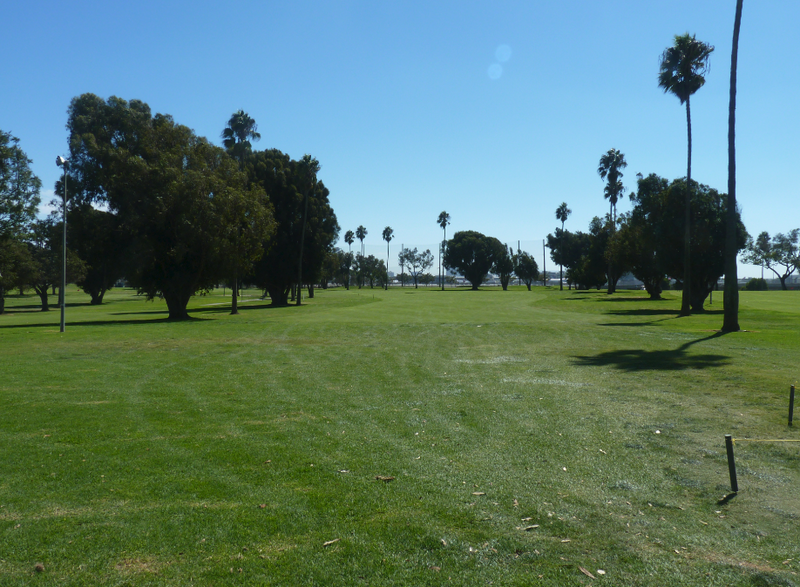 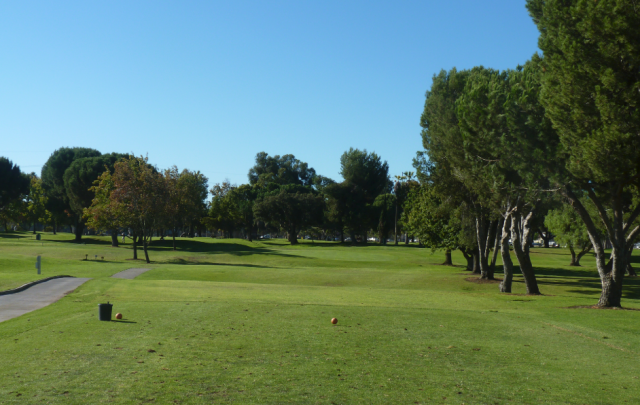 Westchester is a long 18 hole executive golf course and located just 2 miles from LAX airport. 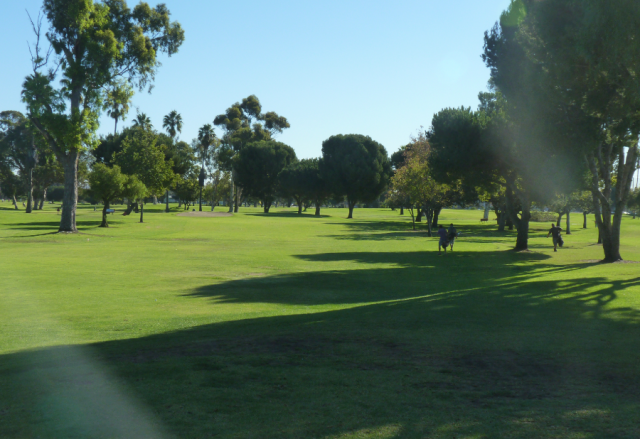 It is a busy golf course and known for night golf. 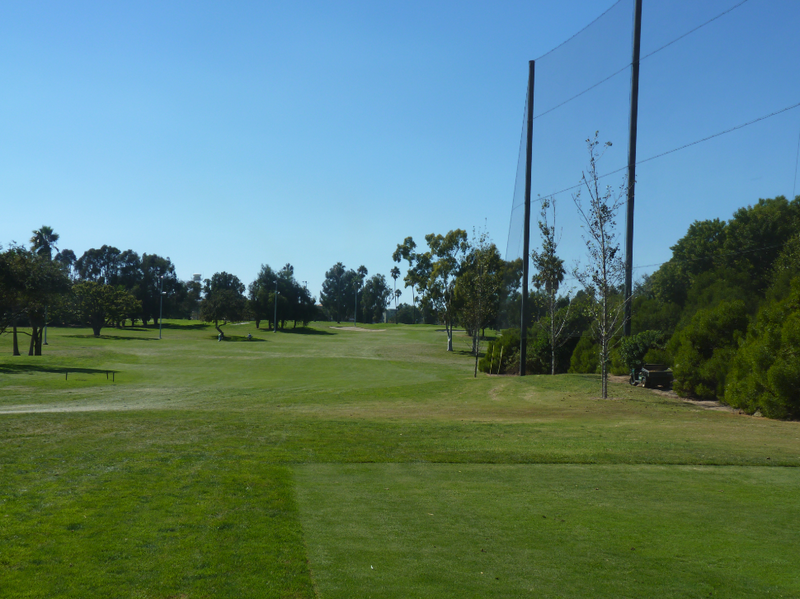 The course is fully lit and gets a lot of people who play after work in the evenings – as the course does not close until 10pm. 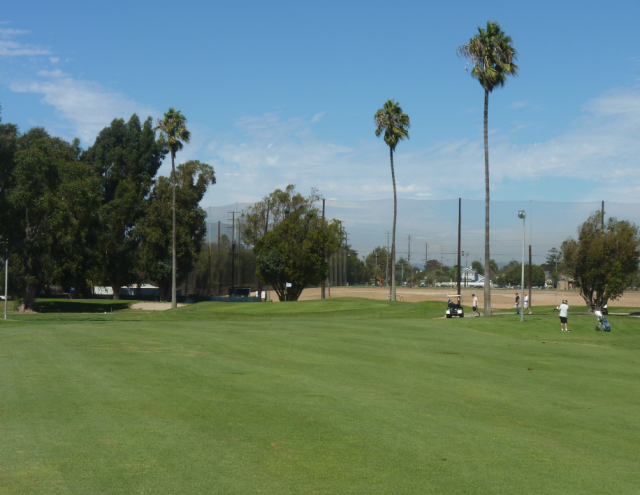 Along with the golf course there is a nice driving range which is in good shape. 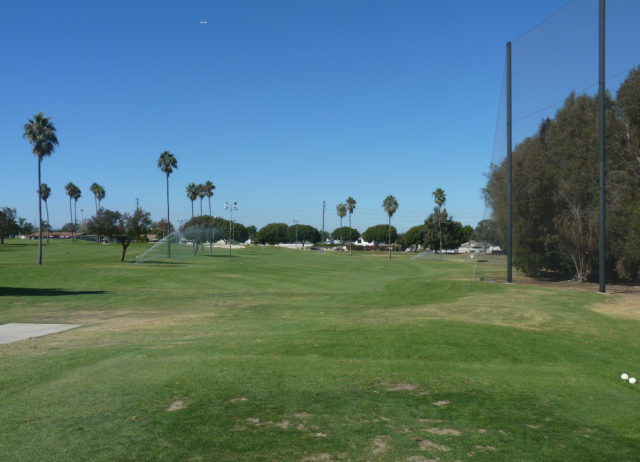 However the driving range is also very busy. 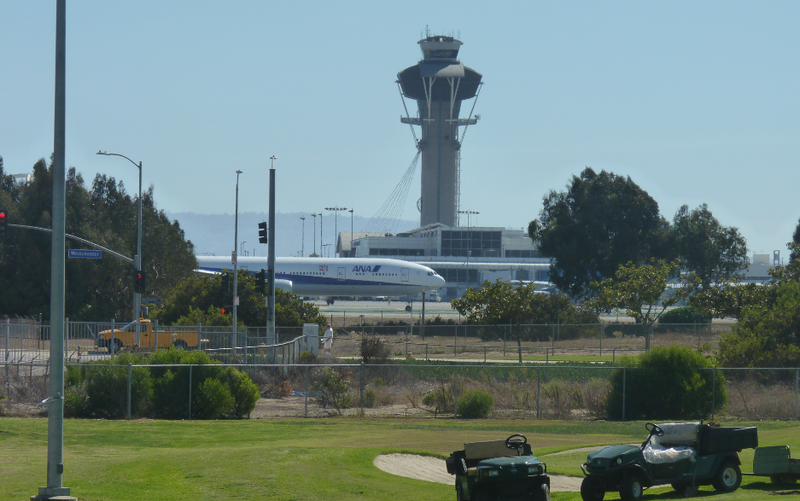 Even at off-peak times you may have issues finding an available stall. The rates above are published rates. 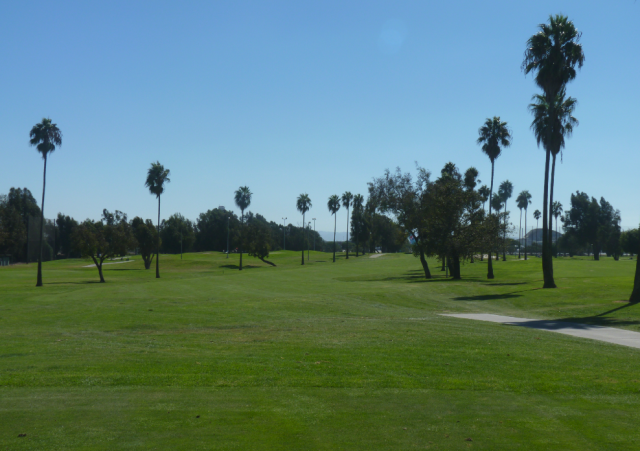 However heavily discounted rates for off-peak times can be found on websites such as www.golfzing and www.golfnow.com. 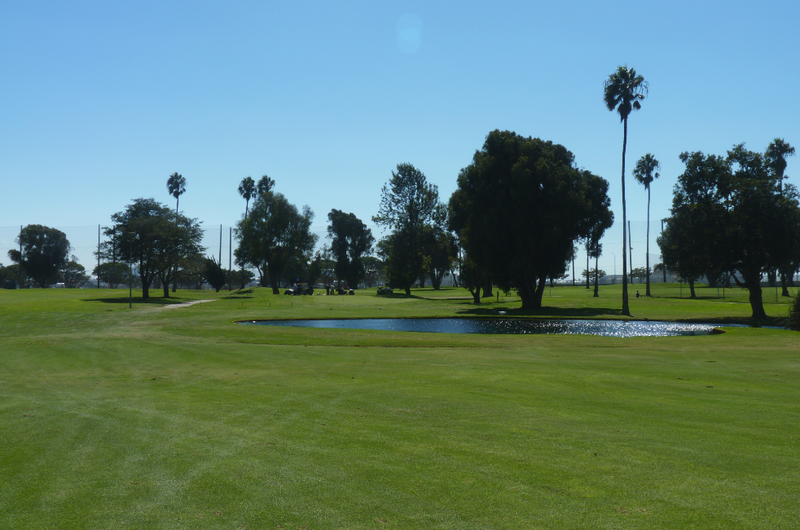 I have seen rates as low as $12 for 18 holes. I paid $23.50 with booking fees and that included the electric cart. 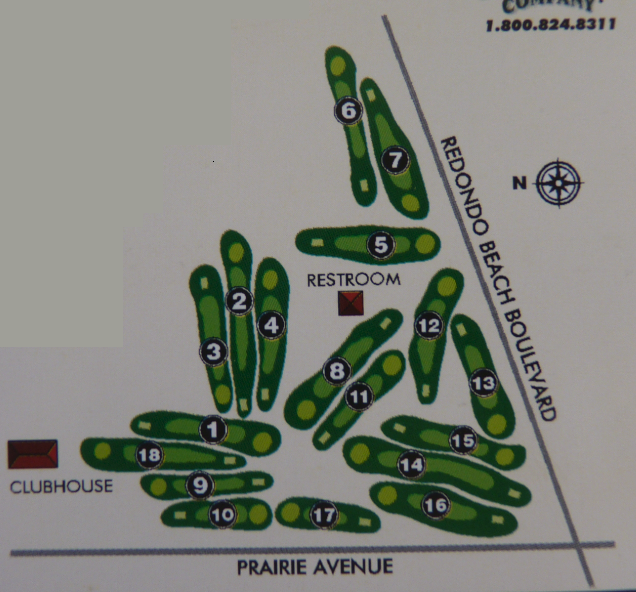 The course had an interesting design. 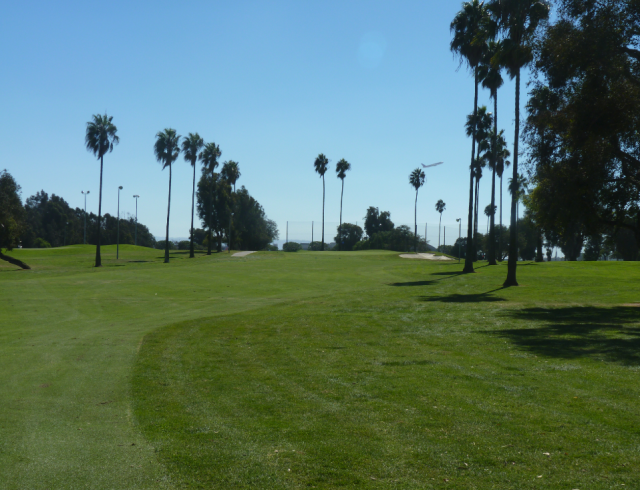 It is almost the same length as Vista Valencia, but seemed a lot easier and less challenging to play. 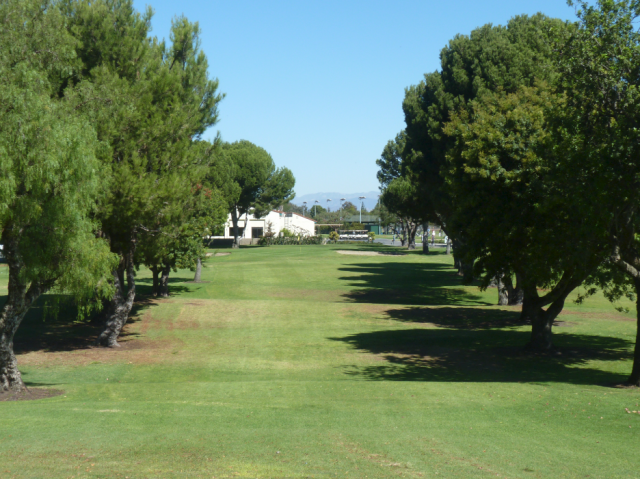 Overall it is a relatively straightforward course. 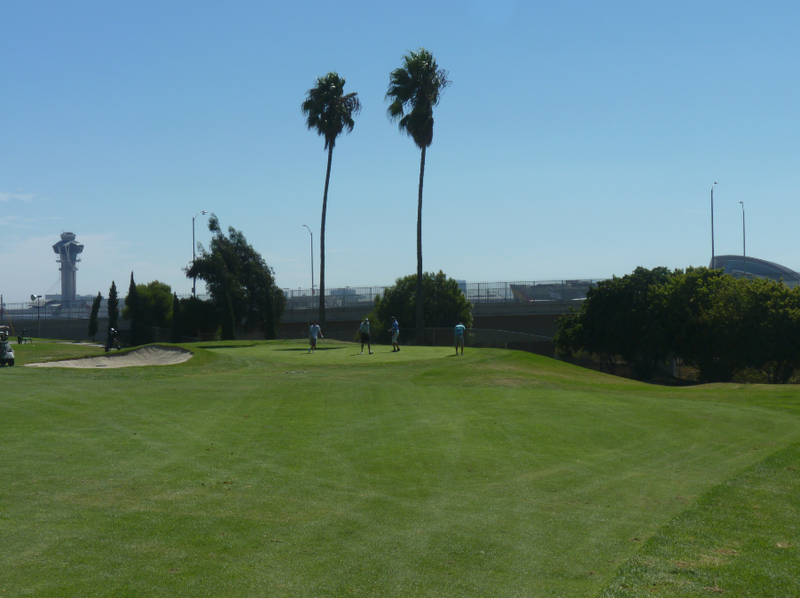 There are only a few bunkers on the front nine, however there are a lot more on the back nine. From the pics I saw before playing here I was expecting a lot more water. However water really only comes into play on hole 2. 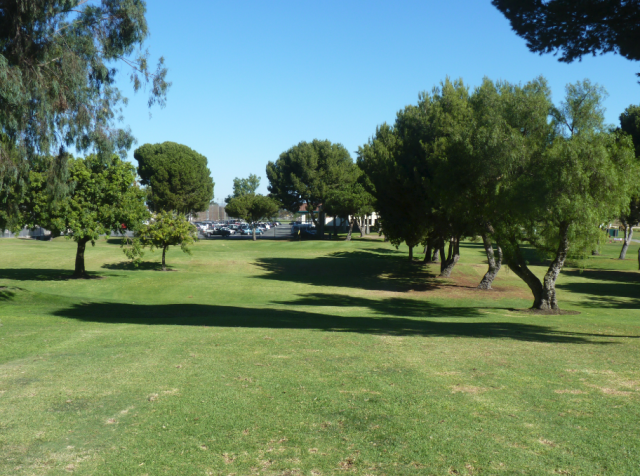 Hole 2 is a par 4 with a green located behind a pond. 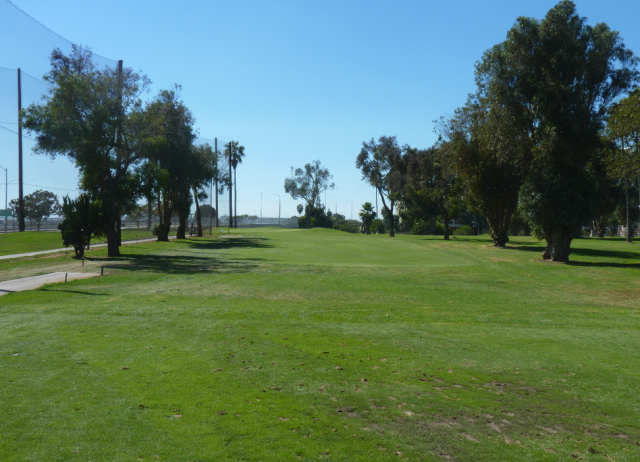 Other holes to note are 12 and 13, which run parallel with the LAX runway and hole 15 which is a long 515 yard, par 5; which dog-legs to the left. 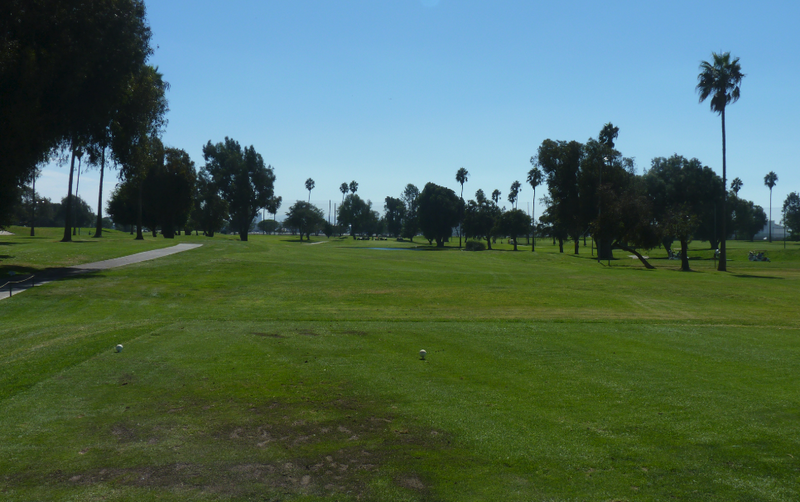 Despite the constant aircraft noise, I enjoyed playing at Westchester. 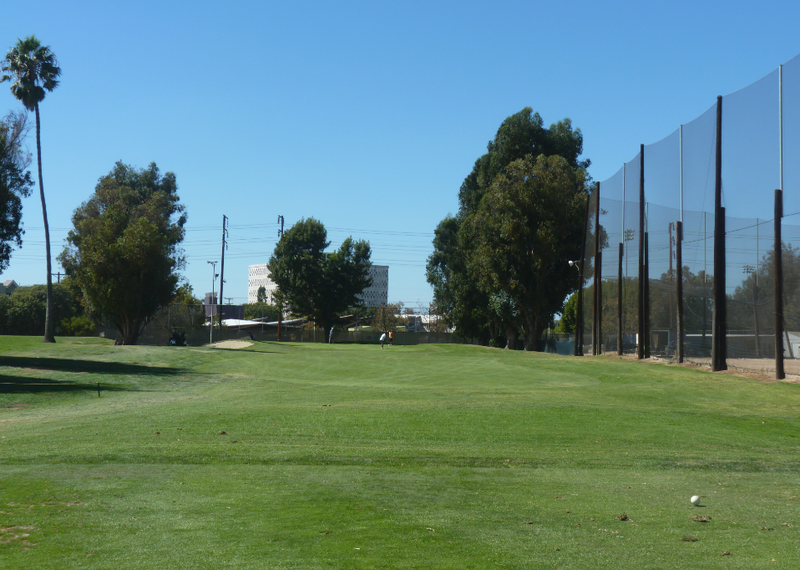 The holes varied in length and you get the opportunity to use every club in the bag. 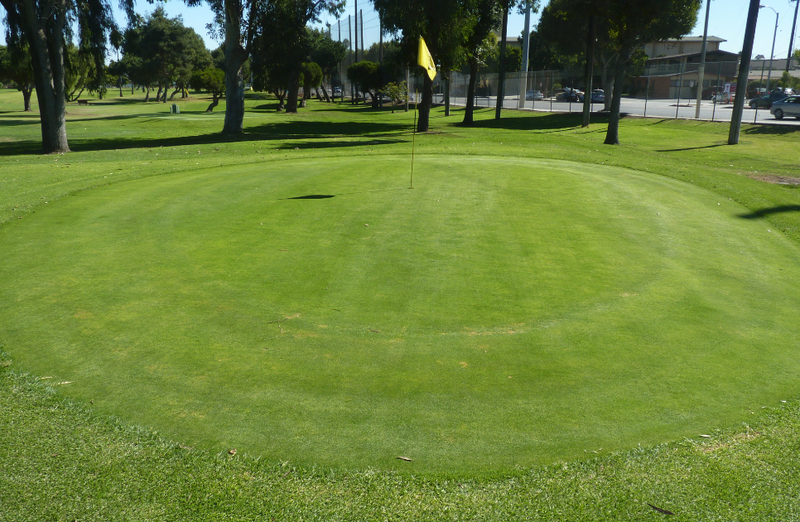 The greens are nice and large. They run at a good speed and a lot slower than Vista Valencia, which makes putting less of a challenge. 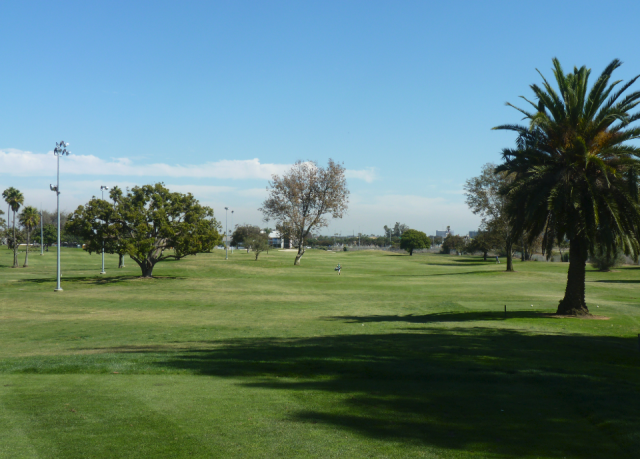 The course itself is in above-average shape. 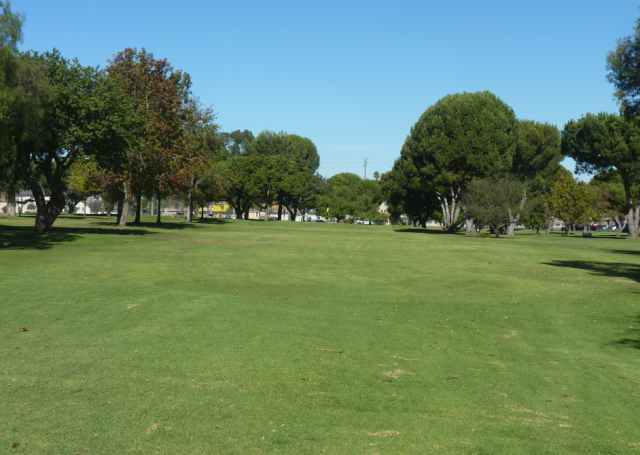 The condition is good, however in general the grass is a little brown and under-watered. The greens are also in nice condition with few pitch-marks. I found the electric carts a little old. Other courses in the area have slightly newer carts. 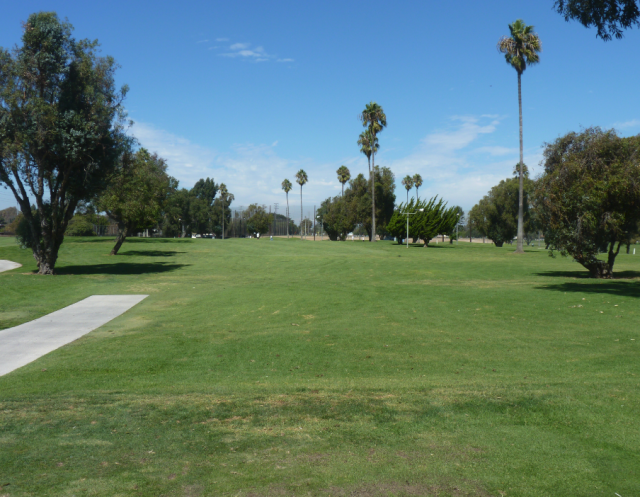 This course is accessible by cart or walking, depending on your preference. 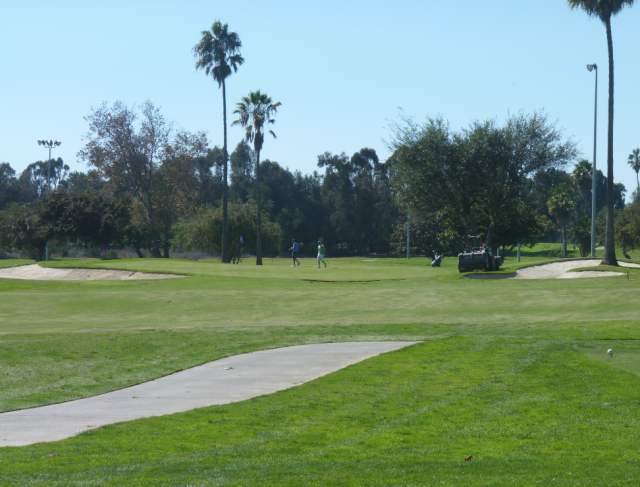 When I was out I would say about 60% of players were walking, 40% using carts. Although this course is nice, it is busy. Like Penmar it is located in a high-density populated area. 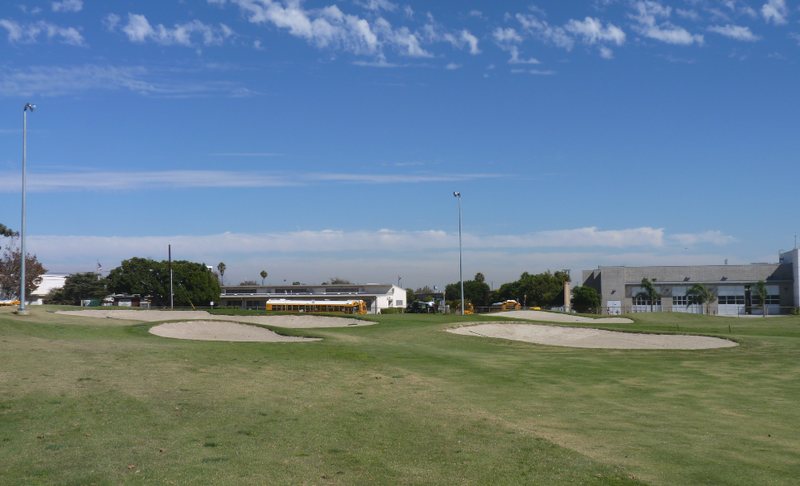 As a result my overall mark for the course reflects this. 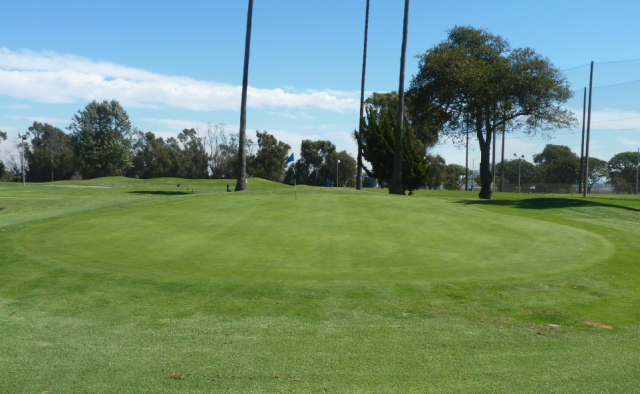 Off peak you should allocate about 3.5 hours to play a round. 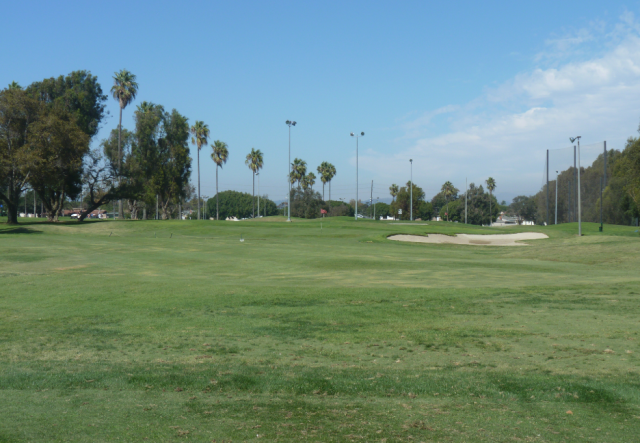 Weekends and on-peak expect to spent 5 hours.